Why 3G would be non-starter in Enterprise segment? 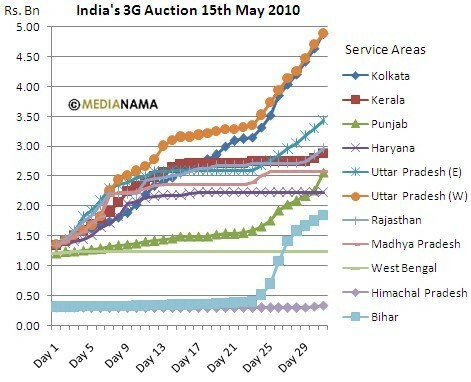 The Great Indian 3G auction was worth Rs. 15814.15 crore (for a pan India License) till the last round of billing (172 rounds of bidding over 31 days). This exceeded revenue expectation of Rs. 3500 crore by 352%. The revenues to the government at this price would be Rs 62254 crore against an estimated Rs.35000 crore in the budget 2010-11. However, the question that now comes up is that with spectrum coming dear, will the Telcos be able to provide 3G bandwidth at decent prices to consumers and enterprises.There is already a growing thought that enterprises will not opt for 3G at all. The initial assumption thats been in the fore front was that 3G will be a solution to all and sundry. It would benefit the dual customer segments: Enterprises as well as Individual Consumers. Amongst the keys apps Social networking is one of the hot favourites for Consumers where as eMail, Connectivity, Video Conferencing and Web Sharing are the bigger enterprise apps. Enteprise adoption of 3G services would also help them to provide large bandwidths across a moving workforce to enable them to work from anywhere and secure access the company internet in lesser time with greater convenience and speed.Financial Inclusion of the masses across the geography and a unified communication service is the community extension of 3G services. A recent survey by Voice & Data – IDC amongst enterprises found that only 13% of the enterprises seem to be excited about 3G and 87% enterprises were not very enthusiastic about the 3G roll outs. The reason being the better Return on Investement from competing technologies. What enterprises need today is predictability and a clear value proposition which helps them save costs, improve existing customer services and utilize their current investmenets in infrastructure the most. The concern in adoption of 3G by enterprises is the availability of services uniformly across large areas and cities with consistent quality of service along with cheap tarriff plans. Here the cost factor is important. Too many different frequencies in the 3G spectrum would also drive down the scale and increase the cost of terminals. 3G is mostly about mobility and mobility as an application is not used much by enterprises. They mostly use email and voice which is also supported by the existing 2G networks in the country at very reasonable tarriffs. 3G would make the experience better but a lot of the adoption would depend upon the prevalent tarriffs. The higher order enterprise applications would possibly have to wait for 4G before they become mainstream. However, the case for WIMAX entreprise led solutions is particularly strong. As against mobile services, WIMAX offfers fixed services within a geography unit with data speeds upto 70MBPS (versus 3G data speed of 15MBPS). The low cost of the WIMAX spectrum and its enhanced features such as security will drive service providers towards enterprise apps and enterprise adoption. The enterprises will also find WIMAX to be more suitable for their needs. Wireless IPTV: Wireless IPTV also called ‘Quadruple Play’ is going to be a revolution in India. Launch of 3G and WiMax technology will bring about a huge change in the Indian market. User generated content: IPTV is much ahead of DTH when it comes to user generated content. Exclusivity of content and differentiation will be key requirements for IPTV to be successful has gone beyond DTH potential to go beyond DTH when it comes to brining user interactivity believes that wireless IPTV is going to be a revolution in India. Launch of 3G and WiMax technology will bring about a huge change in the Indian market. Interactivity: IPTV is all about interactivity, services from a cable or satellite operator are ‘pushed’ into your home. The user has limited choice and has to keep on surfing channels for variety. Cable TV is a one-way communication where as IPTV provides for a two-way communication. Users have complete control over the content they wishes to view. Content providers and operators will have to come up with more innovative interactive services to capture the imagination of Indian consumers. Competitive environment: IPTV is not just restricted to telecom operators, globally leading cable operators have also aggressively marketed IPTV services to reach out to new customers. Cable operators can leverage their existing cable network infrastructure, existing customer base and customer reach to offer comprehensive and high quality services at affordable prices. Indian operators providing IPTV services have not aggressively pushed and promoted IPTV like the way they have promoted DTH. The marketing efforts have been lacking to a great extent. Though BSNL has tried to some extent, the efforts are more of an evaluation strategy rather than a marketing strategy. A more focused marketing strategy would yield better results for these companies. Long term success will depend on Operators collaborating with content developers, content providers and VAS providers to offer unique customized customer centric content. Exclusive content, such as any sporting event exclusive rights, is another area where global operators have been able to push IPTV. IPTV operators should leverage flexibility of IP platform to extend services to mobile platforms and develop effective approach for content acquisition. Operators need to build advanced services and offer more options for bundling with other services to improve value proposition. Web based and mobile video delivery by working on IPTV into a cross platform strategy could be a significant leverage available. The Indian market could be the next billion dollar opportunity for the equipment providers for Global and Indian IPTV equipment providers. The need is to have innovation and technology to produce low cost customized set top boxes that can cater to Indian masses. Equipment makers will have to draw inspiration from mobile devices manufacturers like Nokia and to some extent healthcare device makers like GE who have learned the art of building low cost and quality products targeted at Indian consumers. 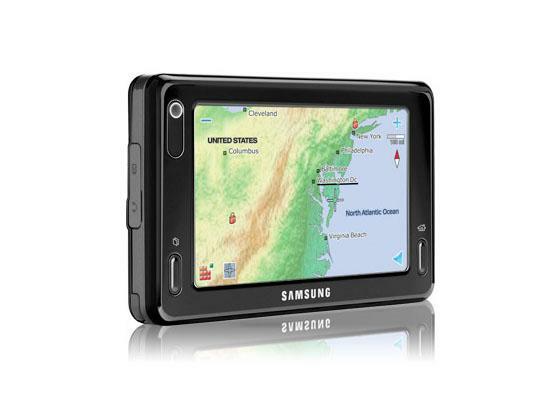 Nokia wound up its WiMAX tablet N800/810 about an year back and that is where Samsung seems to have taken a cue from. 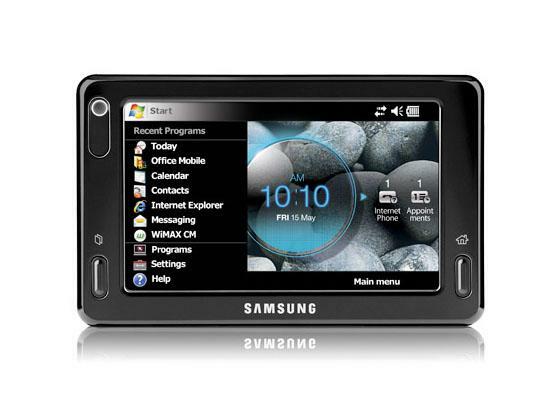 Samsung announced the Mondi WiMAX. The touch screen Mondi,takes its name from the Latin word for “world,” is designed for use with the Clear™ mobile WiMAX service from Clearwire.This device extends horizontally to reveal a full QWERTY keyboard and optical mouse. The Mondi™ is packed with multimedia features that offer instant access to E-mail, Internet, video content, GPS and business applications. Mondi packs a full -featured web browser, powered by Opera 9.5, which takes full advantage of the device’s 4.3-inch touch screen. The Mondi runs on WinMo 6.1 which is very clunky and a big let down for a MID. 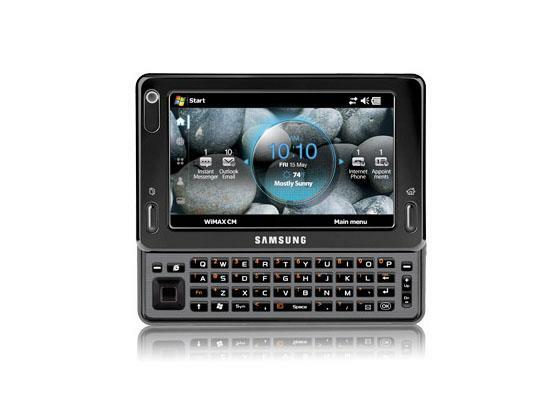 We would have liked to see a Linux based OS for the Samsung MID. The Mondi is completely customizable, thanks to a set of widgets that can be dragged and dropped anywhere on the display screen for easy viewing and use. WiFi connectivity offers the business user fast and simple connections to Outlook Email / Calendars, Microsoft Office and many other vertical business applications outside the Clear service area. 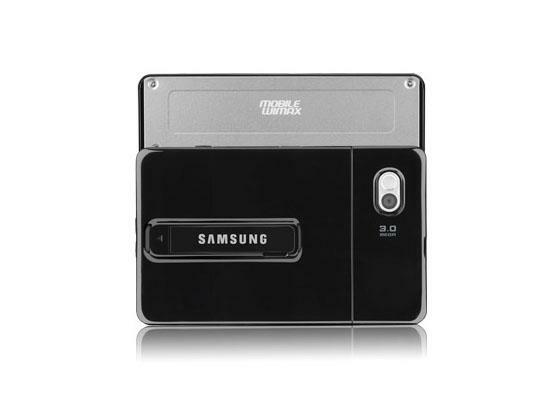 For the multimedia user, this device offers the ability to download and watch movies, listen to music or play games. WiMAX: Last mile internet connectivity in difficult to access places may be its USP! The number of people grabbing their Internet access through WiMax is expected to jump to 50 million by 2014, says Juniper Research.The growth in WiMax stems from areas unreachable or unserved by broadband cable or DSL thus underlining the importance of WiMAX as a last mail broadband alternative. WiMax is a wireless technology that delivers broadband speeds over the last mile, ideal for locations where cabling is not available or feasible. Faster than current wireless 3G technology, WiMax can also serve large metropolitan areas as it covers a wider area than conventional Wi-Fi. Referenced in the report, the most advanced WiMax standard, WiMAX 802.16e, delivers greater throughput than other WiMax standards. While large-scale WiMax deployments have been delayed, many providers have so far been successful in countries ranging from Pakistan to the U.S. In the US,4G Clearwire wireless networks used by Sprint, Comcast, and other providers, run over WiMax. The global deployment of WiMax will drive its growth. The larger number of WiMax subscribers will be in the Far East and China region, says the report, due to that area’s early adoption of the technology.WiMax gains in Western Europe and, to a lesser degree North America, will occur in areas underserved by DSL. Growth in Africa and the Middle East is likely to surpass that of Western Europe, says Juniper, gaining 15 percent of the overall WiMax subscriber base by 2014. WiMAX: Why will it Stick? Doomsayers and analysts have in the recent past rubished future prospects of WiMAX in the face of a greater acceptance (by major operator/Telecom consortiums) of its competition standard LTE. Nokia has gone to the level of stating that it was withdrawing its investments in WiMAX since it believed that WiMAX was the analogical equivalent of Betamax in the war of standards. Read the reference story and an earlier post on this subject. A recent market survey by Maravedis, “WiMAX and Broadband Wireless Access Equipment Market Analysis, Trends and Forecasts, 2009-2014,” has come up with a few interesting and noteworthy points on the viability of WiMAX as a technology standard. 2. Over 1.2 million WiMAX complaint CPEs and embedded chipsets supporting mobility were shipped in 2008. MIMO mobile WiMAX devices being a new entrant into the market the previous year, new deployments in various regions worldwide created a substantial market for MIMO mobile WiMAX terminals and infrastructure equipment. Expansion of existing WiMAX networks and conversion of some existing networks from fixed to mobile WiMAX has also contributed to these numbers. 3. Contrary to belief, WiMAX equipment demand didnot taper and operators continued rolling out infrastructure, sourcing terminals and adding new users using 802.16d – 2004 technology. CPE shipments reached 880000 in 2008. 4. US $145 was the ASP of a mobile WiMAX device during 2008 and by the year end USB dongles were selling at prices between $60-70 for high volumes. 5. Mobile WiMAX devices shipped in 2008 were mainly indoor units. 6. 40% of mobile WiMAX devices had embedded VoIP capabilities and about 7% had other advanced functunalities such as WiFi. USB dongles accounted for 34% of total shipments and were operating almonst all in the 2.3GHz and 2.5GHz spectrums. 7. Korean vendors (Muyngmin, Modacom, Samsung) accounted for 36% of all mobile WiMAX terminal shipments. Taiwanese vendors (Zyxel, Asus, Gemtek, AWB) accounted for 25% of terminals shipped. 8. WiMAX market infrastructure: Alcatel-Lucent, Samsung, Alvarion and Motorola were the key suppliers of WiMAX equipments and 151,000 sectors were shipped at an ASP of $11,500 generating $1bn in revenues. 9. In the Chipsets makers, the market was dominated by Beceem, GCT and Sequans. Intel and Runcom had a stake in the Wave 1 devices capable of MIMO operations and with very limited support of mobility. Samsung’s own chipset solution gained 7% of the market share. 10. In light of recent technical and commercial wins by LTE, WiMAX is not certainly an all conquering solution, but Maravedis predicts that there will be an accumulated 75 million WiMAX subscribers by the end of 2014. Service revenues generated by BWA will reach US$15 billion in 2014 and WiMAX equipment market will reach an annual US$4 Billion in 2014, from over US $2 billion at the end of 2008. What the report seems to be poiting at it that, though LTE has the backing and auspices of a majority, it is unlikely that LTE would deploy sooner than 2012. That gives WiMAX a 3 years headstart and it could greatly benefit WiMAX since, Proprietary and fixed WiMAX equipment markets will continue to grow organically to meet the needs of WISPs and vertical segments. These 3 years and the market traction would become a strong foothold for WiMAX in the face of competition from LTE as the 4G Tech Standard. WiMAX may not be the winner ultimately, but given its earlier time to market, it will not be the looser as well. The eco-system will thus have both tech standards and rightly so, because there are nuances in WiMAX that LTE cant better and vice versa. In effect, there are parallel markets that could thrive under both these technologies. After all, one technology standard may not be the healthiest thing in the market. So much so for the analysts, doom-sayers and nay-speakers for WiMAX. Making its loyalties clear, for the first time in about 5 years, Nokia has averred LTE to be the future 4G technology standards over WiMAX. In an interview to Financial Times, Nokia EVP (New Markets) Anssi Vanjoki, fore-beared WiMAX to be Betamax of the 4G technology standards. His remarks were the most dismissive by Nokia of WiMax to date. Nokia has previously been perceived as taking care not to be too critical of WiMax, while Nokia still has a seat on the board of the WiMax Forum. Sony Betamax and VHS were also involved in a war of video format technology standards in 1970s and 80s, which was eventually won by VHS setting the technology standard. The Finnish company is betting the 4G wireless standard LTE – Long Term Evolution – will dominate the mobile world by 2015 and WiMax will be the big loser.Nokia’s claim is the first in an open forum and comes after the Finnish Phone maker has had stakes in both the technologies. Nokia went as far as developing the first prototype of WiMAX based internet tablets, which were subsequently never put to production. The telecommunication industry is increasingly getting fragmented into the LTE and the WiMAX camps. While I have covered WiMAX and LTE in a few other blog posts as well, I fail to see why one technology must beat the other in the future technology perspective. Both technologies may be fulfilling the same objective of high speed data carriers, but the technologies per se are based on very different platforms. LTE with its greater carpet area will allow users to access high speed data from a bigger geography. It has an able back up in terms of the 3G/2G network. 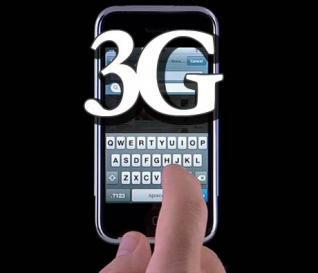 If there is a hole in the LTE, users will tend to fall back on the 3G/2G backbones, there by not breaking the connection. The ability to leverage on the 3G/UMTS infrastructure decreases the initial costs. WiMAX on the other hand, depends on line of sight which limits the geographical spread. However, it’s enhanced features such as security and multi-bands make it a huge bet in the enterprise segment. It will essentially replace WiFi as the office standard. Being a high value segment, the profitability of WiMAX could be expected to be higher that LTE. From the consumer perspective, WiMAX has a low operating cost, reducing the per unit cost. However, unlike the LTE, WiMAX has a high initial cost of infrastructure installation. On the whole, while 80% of the telecom footprint will be LTE, WiMAX’s 20% will be more profitable and versatile. LTE on the other hand will be mostly voice/data based services. I guess, we will have to wait and watch how this space develops. It will be only good for the consumers if both technologies are allowed to take their own course to offer the best of 4G technologies to the consumer. The future ought to be decided by the consumer more than anyone else. Experts and bloggers all over have contested and claimed on which one is better than the other LTE or WiMAX? This is perhaps precipitated by the camps which back the technologies. However, a third view on these technologies suggest that there is no winner in strict terms because these technologies are complementary in nature. Bore OFDM parent, WiMAX has a data background and LTE has a voice background. Furthermore, WiMAX will work on 5 levels of service such as emergency services, public safety, data transmission (real time and otherwise) and Voice. To that extent it appears to be more versatile than LTE which has only two levels of service (one for voice, and the other for everything else). So the usage and market positions of these two technologies will depend on customers and their usages, spectrum positions and other technology quantities. Thus the idea (as depicted bythe graphic below) is complementary technologies for divergent telecom needs. There is a possibility that a single vendor may be use both these standards to provide services to different class of consumers! Advantage LTE: Where does LTE score above WiMAX? 2. Using the existing UMTS network for 80% of its needs, LTE will not involve very high CAPEX involvements. Thus a better experience can be rewarded to the consumer with less investment as far as Telcos are concerned. 3. Mobile operators will roll out LTE and users can fall back on the 2G/3G networks where-ever there is a “hole” in the LTE network. Advantage WiMAX: Where WiMAX would outscore LTE? 2. As discussed earlier with 5 levels of service, WiMAX is a more versatile service compared to LTE. 3. Build on the IEEE 802.16 wireless broadband standard, fixed WiMAX (802.16D) will tantamount to a huge WiFi area. So this can be used in large campuses and office complexes and for within city Broadband and voice services (as long as in line of sight). Thus in terms of usage, WiMAX can be versatile in terms of group usage as well. 1. LTE will be limited to single subscriber system on a large carpet area. 2. WiMAX would work on a multi subscriber system in a small carpet area. Also, with loss in line of sight and distances between the tower and the reciver, the rates of data transfer may be erratic and inconsistent. Yet again, it will be different strokes for different folks sort of a thing out here. Taking pole positions with any one technology could prove to be counterproductive for the players in the market. While LTE will ride upon 80% GSM market share, WiMAX will be handy in Enterprise operation markets and data heavy networks. So while LTE will be at a lesser advantage in Data, WiMAX may find it difficult to cover full geographies as exhaustively as LTE! The interesting bit is that a study into cellular subscriber patterns in 2012 still reveal that 55% of 4.8 billion cellular subscribers (by 2012) would still be using the GSM/EDGE/GPRS technologies and only a lowly handful will be into WiMAX and LTE. Graphic on how data speeds stack up in Technologies. This doesnot mention the super standard which would be a combination of LTE and WImax and is supposed to have 1GB/Sec speeds on data transfer. Wimax is being rolled out by Sprint Nextel – Clearwire partnership. The roll out barnd would now be Clear (It was Xohm earlier). The roll out is expected to begin in 2009. This group has the auspices of Intel, Time Warner Cable, Google and Comcast and we will see why they have this backing. Mobile WiMAX has been implemented by WiBro in South Korea since 2006. As a technology WiMAX has been around for sometime now and it is now that it is beginning to see serious on the ground action. LTE is being spearheaded by carriers At&T and Sprint in US, NTT Docomo in Japan. 7 major Telecom companies have agreed to a mutual framework for licensing I P Rights relating to LTE. This includes Alcatel Lucent, Ericsson, NEC, Next Wave Wireless, Nokia, Nokia Siemens Network and Sony Ericsson. The clamor for LTE standards recieved a big boost when Nortel deserted its WiMAX position to check into the LTE camp (Nortel is a toast of recesssionary history now). Vodafone, the worlds No 1 operator also supports LTE standards, which comes as a huge fillip to the LTS camp! WiMAX will see the first level of deployments and serious action in 2009 and it will have a head start over LTE, which would only come alive by 2011-12. Having a 2-3 years head start can be a boon as GSM proved against CDMA. 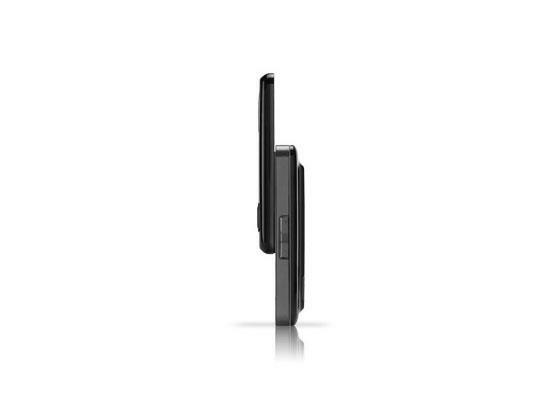 GSM was ahead of CDMA in terms of launch and till date enjoys 80% of the world market share.